If you are injured in a car crash and the other driver doesn’t have insurance, then you may need to file a claim for uninsured motorist benefits assuming that you purchased that coverage. If you get hurt in an automobile accident and the other driver has enough insurance, then you should seek the advice of an experienced personal injury lawyer to help you. If you are injured in a car accident with a driver who has small policy limits, then it is extremely important that you, or more likely your personal injury attorney, make a very specific demand to the insurance company because basic contract law applies. The essential parts of a contract are an offer and an acceptance. If an offer is made and the other side accepts the offer but adds new terms, it is not an acceptance but rather a rejection and a counter-offer which can be accepted or rejected. These same principles apply to attempts to settle car crash claims. In the case of Pena v. Fox 40 Fla. Law Weekly D2573a, 2DCA (November 13, 2016), the injured person made a specific demand for the minimal policy limits of the at-fault driver. She specifically stated that she would only release the insured at-fault driver and no one else. Predictably, the insurance company sent a settlement draft for the policy limits and the insurance company’s standard release. The problem was that the standard release stated that the injured party was releasing not only the at-fault insured driver but also his all officers, directors, agents or employees of the foregoing, their heirs, executors, administrators, agents, or assigns. The addition of these other individuals was determined to be a counter-offer and therefore a rejection. The injured woman was then free to file suit to seek the full value of her damages. The insurance company could then be liable for her entire damages because they failed to specifically accept the offer to settle as originally made. If you are injured in a car accident in Miami or anywhere in South Florida, you should speak to a personal injury lawyer. We at the Wolfson Law Firm have helped clients with car accident claims and lawsuits since 1963. We are available to discuss your case free of charge anytime. 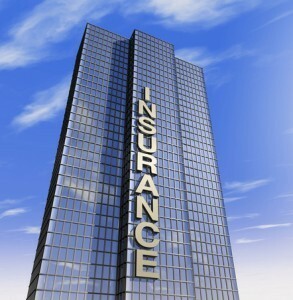 The Wolfson Law Firm also represents clients with insurance claims in Homestead, Miami Gardens, West Park, Hallandale and other towns throughout South Florida.